We plead to a moving violation for dorkiness. There are times that not only do we smile or note odd license plates -- we actually take photos of them, too. Apparently, she's stunning. And eats at Moe's. Mr. 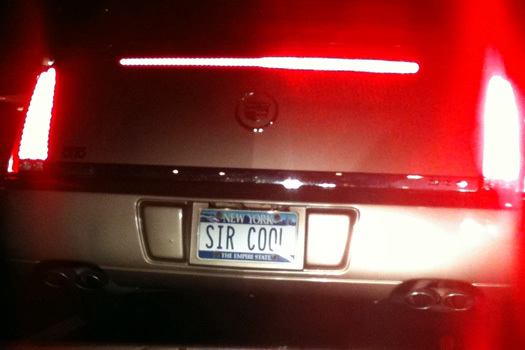 Cool has been knighted. Yes, well, hootyhoo to you, too. All the world's a stage and all the men and women merely drivers. Or passengers. 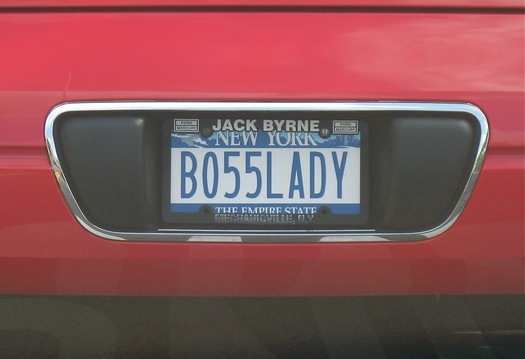 People put the _dumbest_ stuff on their license plates. I caught this one outside my office. 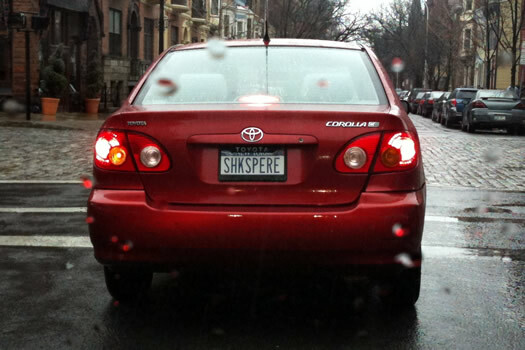 I know the Shakespeare care! They're my wonderful neighbors! "DR NUKE" can be seen on the RPI campus. I'm holding out hope that the HOOTYHOO plate is a reference to Top Chef's Carla, but with the geocaching frame it's probably some hippie endangered short-eared owl thing. Psh. I once saw NY License Plate "BOBWEIR" at Hannaford in Latham Farms. Must've just gotten off Dead tour. I believe Alain K's ferrari has the license plate 'Dr. Nano' these days. When I was working in Newburgh a few years ago, I saw one that said, "Animagus." Unfortunately, I no longer have the picture. Note that it happens to be on a Saturn. "LOLNOOB" was one I use to see often while living on South Allen. There's a car always parked down my street. It has a license plate that says IM2HOT4U. I've seen the driver. She's not 2hot4me. Not even close. Just sayin. Put your money where your mouth is folks. I used to see a Hummer with the plate "1MPG" on Myrtle (I think). I always wondered, "Why advertise the fuel inefficiency of your vehicle?" I haven't seen it in quite a while, though. There is a car that I see on I-90E around 5pm a lot with the license plate "MCLOVIN." @tomato: that is great, very appropriate if you have road rage. And I can still get 'Khaaaan" for my own. There's a lime green mustang downtown somewhere with the plate: "OUTTALIME." 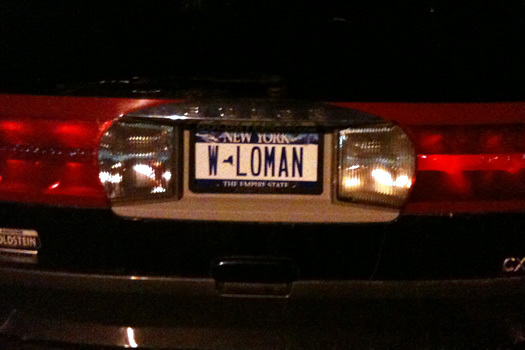 My favorite NY license plate I've seen was MMM CAKE in Poughkeepsie. @Kerosena I've seen the 1MPG Hummer at the mall. It made me laugh out loud. These are GREAT - keep 'em coming! Though I secretly hope you don't find mine!